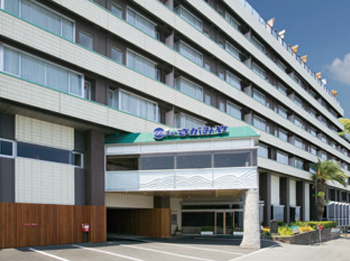 Hotel New Sagamiya is located at quiet and naturally Izusan sea shore in Atami and provides spectacular views of the Pacific Ocean. It is a wonderful panorama view, the Manazuru cape to the left, Hatsushima and Oshima Island in front and Ito and Ajiro to the right. 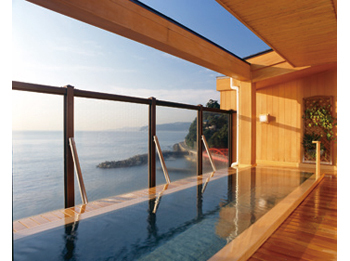 The view of the sunrise from open-air bath on the rooftop is magnificent. 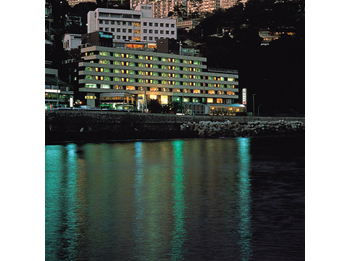 The hotel offers seasonal Japanese kaiseki dishes. 7 minutes by taxi from JR Atami Station.